Currently, Martinha's future is uncertain. We are calling for transparency. The Portuguese Government has stated that she is their 'property', yet they have allowed her to remain in solitary confinement, in a barren concrete tank, for years. From this lack of action, we believe that there is little or no attention paid to her welfare. With claims that she has a liver disease and digestive tract issues, she may never be releasable. However, none of these aspects are excuses for holding her under inadequate conditions. Barren concrete tanks are no place for any whale, dolphin or porpoise. They are incredibly intelligent animals and their large brains require stimulation (just like us, they get bored). Appropriate 'environmental enrichment' provides some alleviation from the boredom of living in a tiny box. 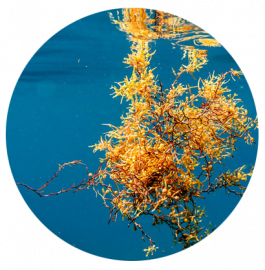 Simple things such as seaweed to play with, as well as more complex items that require her to use her brain to solve a puzzle (such as a fish inside a container, which she must manipulate to extract the fish), would help to provide stimulation. 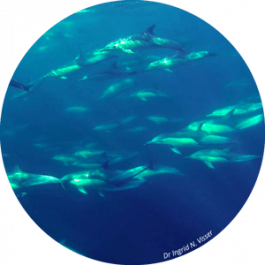 Common dolphins are typically an extremely gregarious species; group are often comprised of hundreds of individuals. At times 'superpods' of thousands can be seen travelling, socialising and hunting together. Even if there are no other common dolphins for her to be placed with, she should not be housed alone. Solitary confinement is tantamount to torture for a species that has evolved for millions of years to be highly social. It is our strong recommendation that Martinha is moved from wherever she is to a seaside sanctuary. Such a location would provide a larger area for her to live in and an environment where she has some variety (e.g., it may have a small beach, rocky coast, seaweed and other natural living organisms such as sponges, fish and birds, as well as tides and temperature differences). All of these elements will provide enrichment (see 'Provide Enrichment' above for some additional options). A seaside sanctuary will also allow Martinha to exhibit more of her natural behaviours, which she is unable to do in any tank. 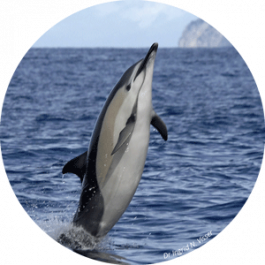 Although the permanent release of Martinha may not be possible, the rehabilitation and release of common dolphins is not new. Three individuals have been released in the USA (Zagzebski et al., 2006). 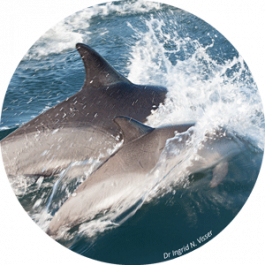 Two were tagged with satellite-radio transmitters prior to their release in 1994 and 1995. One of the individuals was tracked for 31 days off the coast of California, immediately moving off shore into deep water where it began moving north. It travelled approximately 400 km within five days of release, then covered more than 250 km until radio contact was lost (Zagzebski et al., 2006). 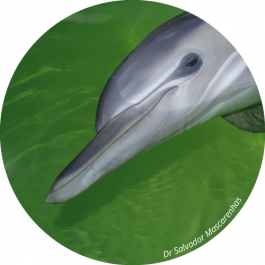 A juvenile common dolphin was also rescued and then released back into his native population in the Bay of Algeciras (Spain) in the summer of 2013, after spending a night in a medical tank of small dimensions. Later, on the day of his release, he was observed swimming with his presumed mother. Even though the number of common dolphins who have been released from captivity is relatively low, in the past few decades more than 100 individuals from 11 cetacean species have been released from captivity after rescue or after being held following deliberate captures, or even after being held in display facilities for several years. Zagzebski, K.A., Gulland, F.M.D., Haulena, M., Lander, M.E., Greig, D.J., Gage, L.J., Hanson, M.B., Yochem, P.M. & Stewart, B., 2006. Twenty-five years of rehabilitation of odontocetes stranded in central and northern Florida, 1977 to 2002. Aquatic Mammals, 32(3), 334-345.